Why and how to introduce Agile successfully in your company? These are not just estimates, but real results that real companies and departments achieved. However, for agile to be a success, you need to know you’re doing when you’re introducing it. So before you start looking for a scrum master, first discover how to launch agile in your organization. 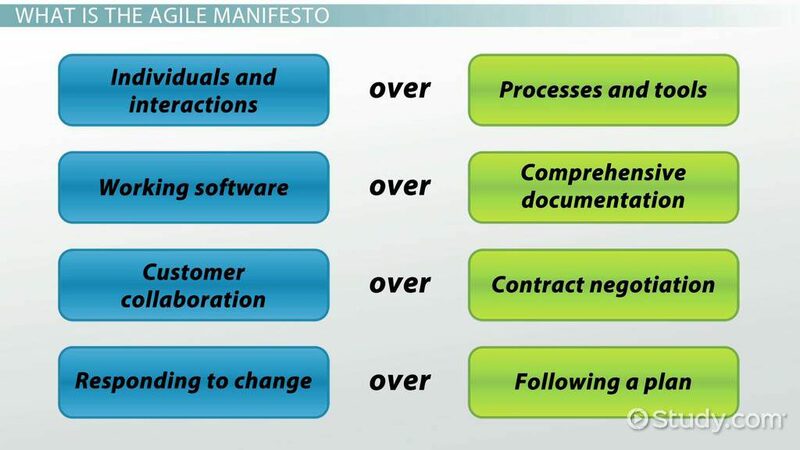 Agile started as a management method very suitable for software development. However, in today’s increasingly digital world, the usefulness of agile is quickly being discovered outside it’s old IT confines. But what exactly is agile? Agile Manifesto: Born in 2001, Snowbird. It all started in 2001 in a small town called Snowbird in the mountains of Utah. Seventeen software developers met who were no longer content with the then dominant waterfall method. Its detailed plans and outlines upfront limited their ability to respond to change. The software sector was moving faster and faster with rapid switches in customer needs. With the existing waterfall method, the software was already outdated and not in line with customer needs once it hit the shelves. Developers required a new approach that would solve these problems. After a few days full of talks and skiing, the so-called Agile Alliance came up with the Agile ‘Software Development’ Manifesto. Today it’s still the main Agile framework. It consists of 4 fundamental values. Agile means, according to the Oxford dictionary, ‘able to move or think quickly and easily.’ In the basis, the agile method is about being able to adapt swiftly to change. You organize projects around motivated employees who get the support they need, and whom you trust to deliver the goods. Teams work together in an enjoyable and fun way to solve problems. Managers are there to clear obstacles that inhibit smooth collaboration. Face to face communication is preferred. Before, projects could be bogged down in lots of documentation like technical specifications, test plans and so on. 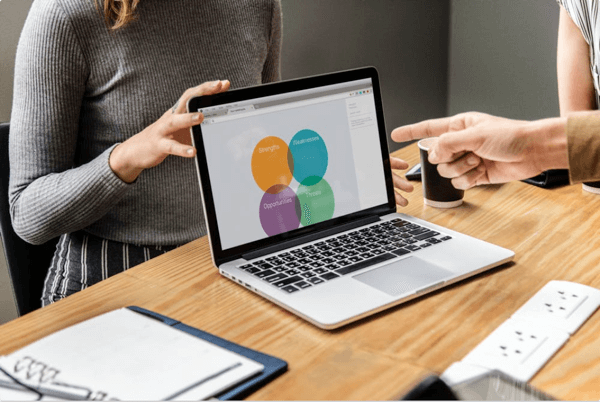 Agile does not eliminate documentation but streamlines it and explicitly connects it to customer value. Any work in agile is always rated based on its contribution to customer value. Instead of focusing on iron-clad contracts, pre-development requirements and protracted talks before the project even starts, agile emphasizes the development process itself. During development, the team actively collaborates with the customer. They use an iterative process and experiment with small parts of the product. The customer is directly involved. If the end-user is unhappy with the iteration, the team fixes it or discards it and moves on. This way, the end-result truly meets the changing wishes of the customer. Change used to be a thing to be avoided during a project. It was an annoyance that killed project plans and derailed deadlines. Instead, agile embraces change. Change is an opportunity to improve the product. Because agile works with small iterations, it responds flexibly and quickly to ever-evolving requirements. Properties can be adjusted and new features added to a next iteration. The agile team does have a plan, but this is limited to the tasks that won’t change until they get to them. As you can see, agile is an excellent method for organizations who need to have a flexible response to change and want to keep on improving their products and innovating. Now that you’ve got a clearer picture of agile and its benefits, let’s discover how you can introduce agile in your company. Before you jump on the agile bandwagon, let’s first identify your business objectives and see if agile matches with these. You need to discover if your company can indeed profit from the agile principles. Ask yourself the question: Why should we change and what do we gain from it? To help you answer this question, many times it’s helpful to hire an experienced agile consultant. The right consultant brings in-depth knowledge of agile so you can make a well-informed decision. Together with the consultant, you can clarify where and what your market advantage would be by introducing agile. However, don’t only look at the market advantage, since agile also improves the internal dynamics of many organizations. 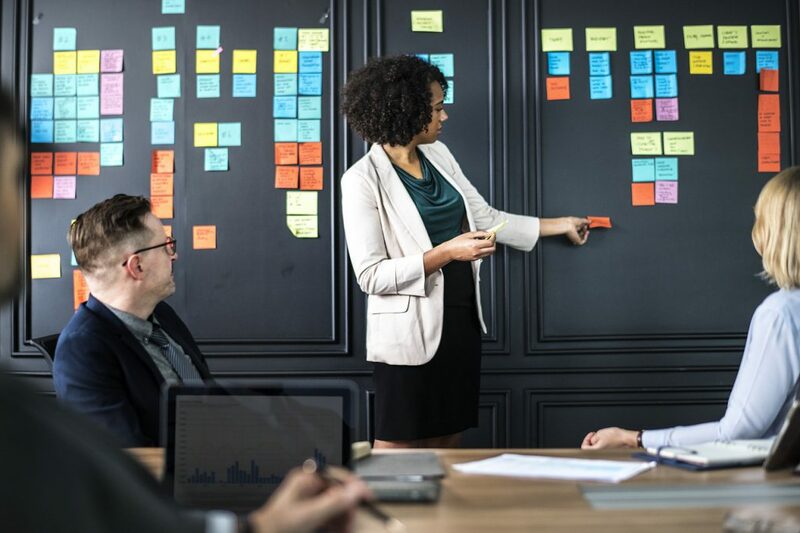 An excellent way to start introducing agile is to identify a limited number of business processes you’d like to improve that can make a real impact on your company. We already have given a brief description of agile and its core values. However, there are more layers and complexities to it. Spend time on really learning agile, since the introduction of agile in too many organizations failed due to a limited understanding of it by management. A limited understanding of agile often results in a mix of the old management methods and the flexible, agile approach. As a consequence, agile teams will grow frustrated and are unable to truly function and deliver the hoped-for results. You can avoid this. Understand that agile is more than just a change in practices, it’s also a change in mindset and ways of thinking. So make sure senior management understands what agile is and why you’re introducing it to your organization. Set up orientations session with senior management and other influencers within departments across your business. Even if they don’t immediately start working with agile, you want them to comprehend what it is and support it fundamentally. Furthermore, they’ll probably have to collaborate with the future agile teams. To make this go as smooth as possible, it helps when they have a good understanding of agile. You want to get them onboard and ideally become agile champions themselves. Agile is perfect for a dynamic environment where you need to respond rapidly to changes and where you can interact with your customer. Nowadays, companies are making a switch across the board to a customer-centric approach in their business units. As such, agile is increasingly applicable to functions like marketing, supply-chain management, product development and human resources. Be aware though, that agile is not always the perfect match for more routine operations such as maintenance or accounting. But, besides checking if the environment is dynamic or more routine, you also want to take the possible payoffs into account. Introducing agile takes an initial investment in training, new software and time in accommodating the cultural shift. That’s why you want to make sure to introduce agile in parts of your business where its economic impact will be the most positive. What will be the estimated ROI? And lastly, agile is formed around groups of motivated individuals. It certainly helps if a team or department has a lot of passionate early adopters and volunteers who can’t wait to try out this new method of work. For many companies, the IT department is the most natural place, to begin with agile. Agile starts small, bottom-up and then grows. Avoid introducing agile as an imposed top-down organizational change. With agile, one size doesn’t fit all. Furthermore, a big top-down introduction squarely goes against the agile iterative process, with lots of room for experimentation and change. By starting small, you’ll also limit the initial culture shock and have the opportunity to learn from the experience. Measure the benefits and communicate them to help grow support for agile. Also, take into account the bumps on the road and learn from these. Once the team members have agile down to an art form, you can start dividing the initial team and let it spread to new agile teams. The experienced agile team members will act both as champions of agile and help the new teams with making the switch to agile. Your senior management should encourage and nurture the process. Because they are already familiar with agile, due to the earlier orientation sessions, there will be less resistance and tension between the ‘traditional’ units and the new agile teams. When you start with Agile, you first want to create stable teams and immerse the members full time in working with agile. 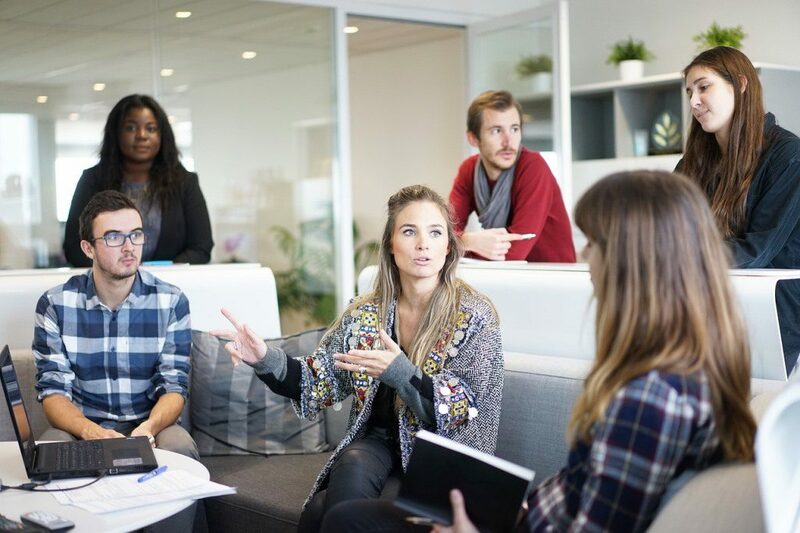 Data shows that these type of stable teams are 60 percent more productive and responsive to input from customers than teams that alternate members or where members are only involved part-time. Give the team training on how agile works from an experienced agile practitioner Don’t only give them a 2-day boot camp and then let them work it out themselves. Support the team throughout the transformation process from a waterfall approach to agile. Let the team practice with established agile practices, already successfully used by thousands of other businesses. Familiarize the team members with agile methods such as Kanban, SAFe and Scrum. Give them insights on why and when these are effective practices and how they relate to the 4 fundamental agile values. Make sure, that when starting out, to give your team time and space to play with agile. A recommended process is by assigning the agile team an exciting project but without a very tight deadline and with a customer who likes to get involved. This way your agile team gets to learn and understand agile on a deeper level. Because the introduction of agile in your company is an iterative process, you’ll have agile teams working in a non-agile waterfall environment. It’s almost unavoidable. However, there are many things you can do to get your organization more accommodating to agile, and it’s important you do. For example, your agile team comes up with a new product, but then it has to go through a long, complicated internal bureaucratic process for approval. It will destroy any improvements in responding to fast-changing customer needs or disruptions in your external environment. Agile innovations need to be a priority also outside of the agile team. If not, there will be delays when introducing them to the broader organization. Your senior management needs to ensure this. Form an agile leadership team from a group of senior managers and influencers. The leadership team works with agile and is there to fix issues and smooth tensions between the agile teams and the traditional organization. To get managers to stop acting like the traditional boss and get onboard with agile, you need to reach them at a deeper emotional level. Instead of giving instructions, you’ll use real experiences and leadership storytelling to change their perspective, attitudes, and values. As a leader in a company switching to agile, you’ll have to give the right example. Start to lead by asking questions instead of handing out orders and instructions. Agile spurred innovation in the software sector and is now doing the same for other areas and industries. Companies can reap enormous benefits from introducing agile in their organization. However, to do agile right, you need to understand what agile can achieve for your organization and how you can best make it work. We have broad experience and expertise in successfully transforming traditional organizations into agile and innovative enterprises. Contact us and discover what we can do for you.